This week, with Christmas upon us, it seems the perfect time to share the beautiful image above. The image, which was published as a postcard, shows St Mary’s Cathedral in Sydney, a central part in the Christmas traditions of many Catholic Sydney families for well over 100 years. St Mary’s Cathedral is the oldest continuously used site of Catholic worship in the whole of Australia, though the Cathedral we see today is not the first religious building to occupy the site. The land where St Mary’s stands today was given to the Church in 1820 by Governor Macquarie. Macquarie had been petitioned by Father John Joseph Therry for a site to build a Catholic Chapel and the site was selected due to its location near the edge of town, the convict barracks and the convict garden. In 1821 Macquarie laid the foundation stone for the Cathedral and between 1822 and 1828 the first stage of St Mary’s Cathedral took shape. At this time, the site was more a religious complex than a single religious building, made up of St Joseph’s Chapel, two presbyteries and a school. The chapel was used to hold services while the main Church was built, and when St Mary’s itself opened, the chapel was converted to be part of a Benedictine seminary. St Mary’s was an ongoing project of a sort for much of the early to mid 19th century. Although the first mass was celebrated in 1833, it was not until 1835, when Bishop Polding arrived that the Church was raised to the rank of a Cathedral. In the 1840s, famous architect Augustus Pugin designed a belltower for the Cathedral, which was built in 1843. Eight bells were installed in this tower. In 1844, a Chapter Hall, also designed by Pugin, was built, replacing the earlier school building. Today this Chapter Hall remains the oldest building on the site. In 1847, the original site was extended with the addition of two extra land grants (one to the North and one to the East), which allowed a new facade and bell tower to be built, again to designs created by Pugin. Then, on the night of June 29, 1865, it was all lost, when fire decimated the Cathedral. Come back next week to find out about the history of the St Mary’s we are familiar with today! 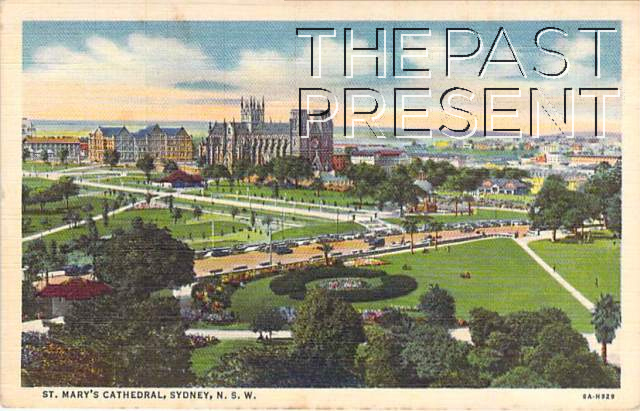 This week, with so many HSC students thinking seriously about their future after school, it seemed the perfect opportunity to examine the history of one of Sydney’s more historic educational institutions – Sydney Technical College. Sydney Technical College, which is today one of the seven campuses of TAFE NSW Sydney Institute has a remarkable history, and indeed was central to the establishment of the TAFE system. The college was established in 1878, as an addition to the Sydney Mechanics School Of Arts, but it wasn’t long before the colonial government of NSW took over. At this stage, the College operated from several buildings around Sydney, but in 1891 they moved into their new, purpose built premises in Ultimo. The early courses offered aimed to teach the working classes about the scientific basis of the various trades, but as time went by, there were additional courses, including those aimed at the middle and upper classes. Many of these courses focused on literature, philosophy and art. Eventually, the Sydney Technical College was the largest educational institution in the whole of NSW, and indeed it was from this college that UTS, the University of New South Wales and the National Art School emerged. Today, of course, TAFE institutions offer an extremely wide range of subject areas, and what was once the Sydney Technical College is just one institution of a huge network. This week, with the holidays approaching rapidly, it seemed the perfect time to examine one of the many islands which dot Sydney Harbour. The islands are popular places for people to visit, though of course not all are publicly accessible. Spectacle Island is one which can be visited, though as far as I could find, only by appointment. Spectacle Island is one of 13 islands in Sydney Harbour, but originally, there were 14 islands dotted around our beautiful Harbour! Spectacle Island is, in fact, two islands in one! Originally, a narrow strip of shallow water separated the two smaller islands, but this was filled in to create the single island we see today. Then, between 1863 and 1865, a great deal of work occurred on the island, with the Colonial Government constructing a huge Powder Magazine. Previously, explosives had been kept on Goat Island, but the facilities there were, by this time, overtaxed and dangerous. In 1885 Spectacle Island officially became the armament depot for the Royal Navy and more facilities were built, including buildings for the handling and even making of ammunition and explosives! Just before World War 1, the island and its facilities were transferred to the new Royal Australian Navy, and the island played an important role in both World Wars. Then, in the 1960s the armaments were moved once again, and the island became the home to the Naval Historical Collection, which you can visit on tours or by appointment. Today, when we think of suburbs such as Balmain, chances are we think of a beautiful place, with a reasonably affluent community. Yet Balmain, just like so many other suburbs of Sydney, has had a rather chequered history. The suburb known as Balmain began to develop in the 1830s, and by the 1850s a true suburb had been established. 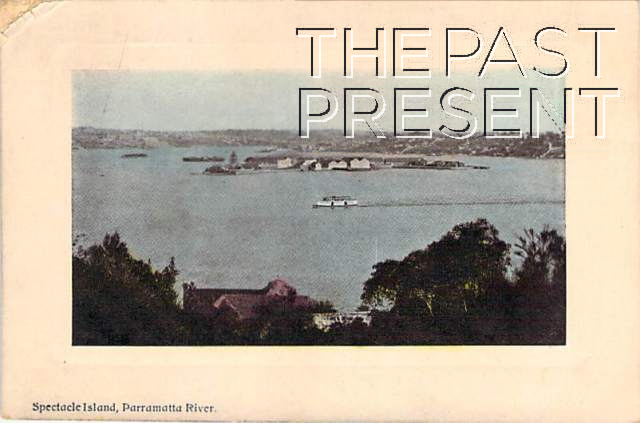 Balmain residents relied on the waterway, and steamers, ferries and other boats not only as a means of transport, but also as a form of work, and ship yards were plentiful along the foreshore. More people moved into the suburb, often workers in the shipyards, and the increasing population brought about much progress, with schools, a hospital, Churches, shops and even a hospital being built to service the growing community. Clubs were also established, focussing on rowing, swimming, bowling and cricket, while institutes like the Balmain School of Arts were also built. In fact, by 1880, Balmain was viewed as the leading social suburb. Balmain’s fortunes were set to change rather drastically. By the late 1880s Balmain was extremely overcrowded and the suburb itself was also organised very poorly, with factories and houses standing side by side. People began to move out, and trade closed down, until by the early 20th century Balmain was occupied by a much poorer class of people. In fact, by 1933 nearly 40 percent of the people living in Balmain were unemployed, which was at the time double the NSW average. This all changed again in the 1970s, when new owners moved into the suburb, gentrifying the old homes and recreating the reputation of Balmain in general. By 1990, Balmain was back to being one of the most desirable suburbs in Sydney.